It is always thrilling to talk about novel sound sources and crazy effects, yet often humble modulation sources are exactly the ingredients that make synthesis exciting and make sounds rich and complex. As you have already guessed, in this episode of the Learning Synthesis series we are going to talk about low frequency oscillators—or as they are commonly referred to, LFOs. LFOs are oscillators that operate at the bottom range of human hearing and below, also known as the sub-audio range. The concept of the LFO first popped up around the ‘60s and ’70s with the introduction of modular synthesizers on the scene. Since then they can be found pretty much in every synthesizer that was ever made, as well as in some other electronic musical instruments. While the parameters and wave shapes in LFOs are often the same as in audio oscillators, the applications are much different. LFOs are control devices, most commonly used to manipulate the sonic parameters of synthesizers, as well as for some other utilitarian and creative applications. 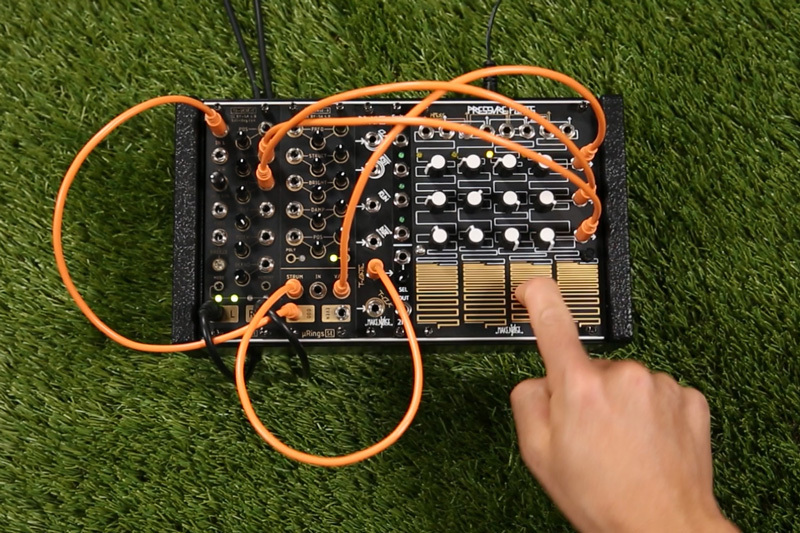 They are a part of the modulation species of synthesizer modules responsible for movement and sonic animation. 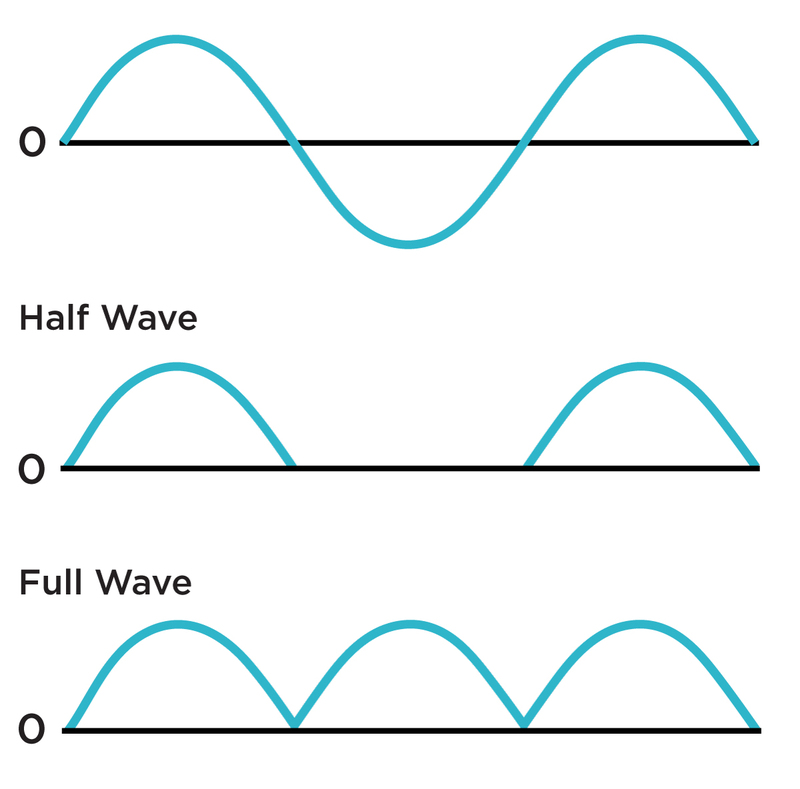 As LFOs are pretty much oscillators running at low frequency rates, they tend to maintain a bipolar wave structure, fluctuating between positive and negative voltages. In case of control, it translates to modulating the given parameter up and down from the user-defined offset center position. There are, however, plenty of cases when unipolar voltage control is preferable. There are a few solutions to this, one of which is a rectifier—a device that converts alternating current into direct current. Half-wave rectifiers block negative voltages from coming through, leaving blank zero-volt spaces where the original wave drops below zero. Full-wave rectifiers reverse the polarity of negative voltages, turning them into equivalent positive fluctuations. Another way to turn a bipolar LFOs into unipolar is to use a combination of an attenuator or VCA and a voltage offset. Let’s say we have an LFO that wavers between +/- 5V. We then bring the signal down to +/- 2.5V using the above-mentioned attenuator or VCA circuit. Next we use an offset to shift the signal 2.5V up or down, effectively creating a unipolar LFO that swings between 0V and 5V or -5V. There is yet another way to achieve a unipolar LFO behavior, which we will discuss a little later in this article. The useful frequency range for low frequency oscillators goes from infinitely slow to about 100Hz. Obviously, the lower range yields slow voltage sways, useful for a multitude of modulatory scenarios. Higher frequency rates in LFOs are a great source for frequency modulation, amplitude modulation, and other audio-rate modulation types, and can really be a decisive element in shaping the timbre of a sound. The most crucial parameters of any LFOs are frequency and waveshape. Because of their rather closed architecture, many keyboard and desktop synthesizers include an additional amount or depth parameter, which pretty much determines the amplitude of the LFO signal or how much of it is applied to the parameters. 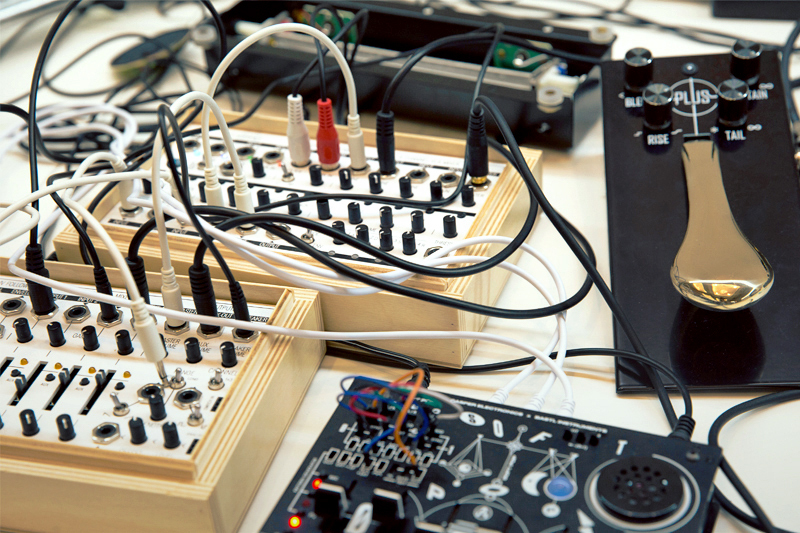 In modular synthesizers, this is accomplished with DC-coupled VCAs and attenuators. What are basic waveshapes good for? The shape of the waveform matters a great deal in low frequency oscillators, as it directly reflects not only on the sonic outcome of the applied modulation but also may be a deciding factor in the utilitarian usage of the LFO. For example, sine and triangle waveshapes are great for smooth voltage control, as in gradually sweeping between the low and high values of a filter’s cutoff frequency. The rough edges of the square shape are perfect for when we want to implement more instantaneous changes between two voltage states, akin to an on/off switch. Sawtooths or ramp waves have the best of both worlds, an instant rise, and a gradual fall, or visa versa in case of ramp up waves. Square waves provide a digital-like behavior switching between two voltage states. 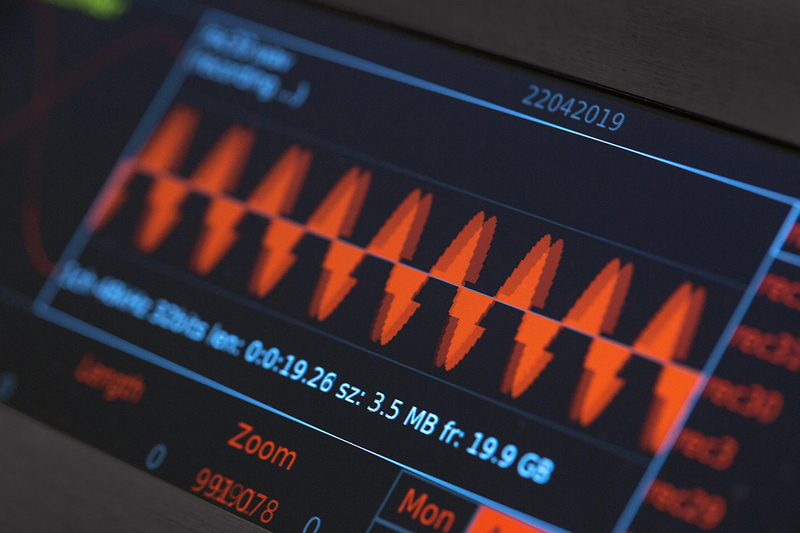 Additionally, both square and sawtooth waveforms can often be used as clock sources or simple gates and triggers—driving sequencers, setting delay times, triggering envelopes, and so on. 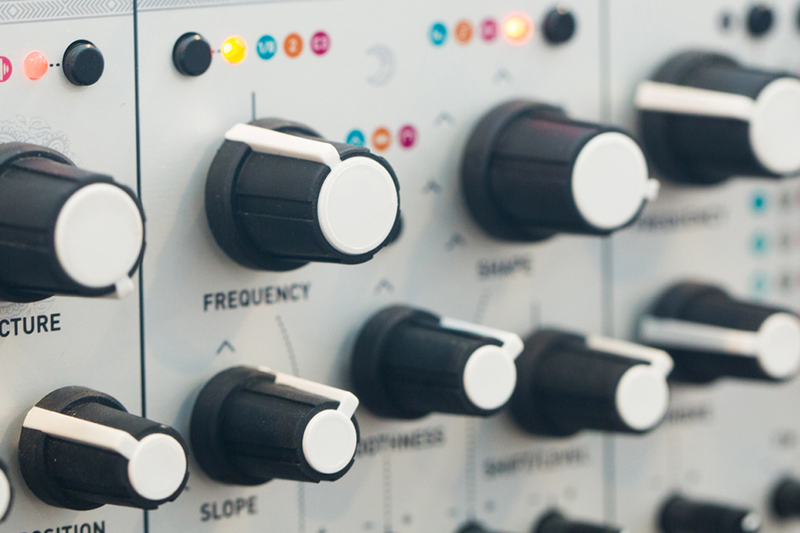 Occasionally you will find LFOs with more complex shapes capable of providing unique and interesting modulation contours, like the wavetable-based E355 Morphing Dual LFO from Synthesis Technology. 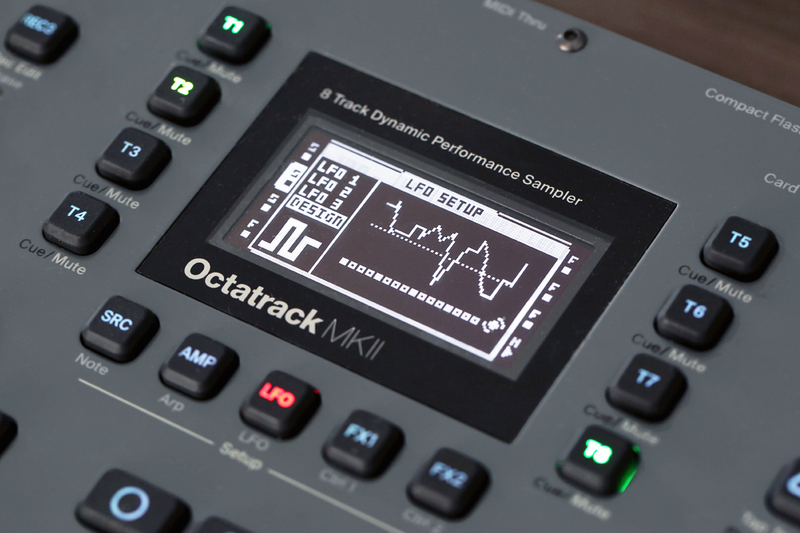 The Octatrack from Elektron offers a special feature called LFO Designer, which lets users graphically create unique waveshapes. 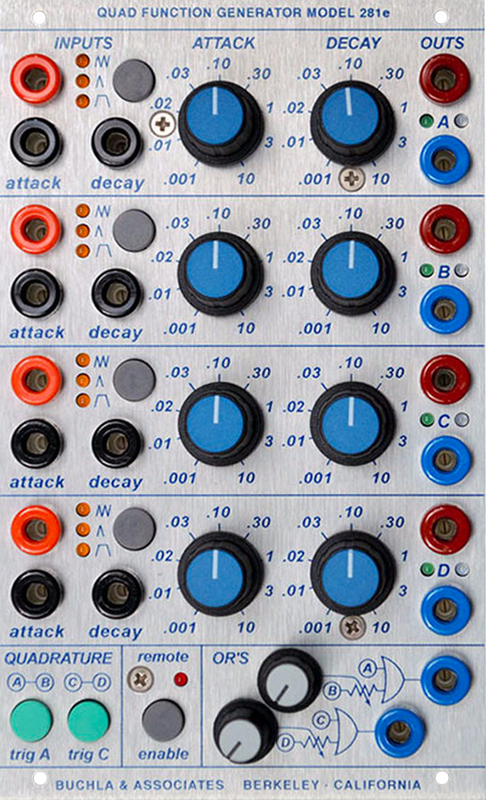 In modular synthesizers, it is quite easy to generate more complex LFO shapes from simple ones simply by mixing two or more of them into one—the good example of this is the Sum and Inv outputs on the Make Noise Maths, when channels one and four are set to self-cycling mode (more on that later). It is also possible to achieve a somewhat pseudo-random behavior if you happen to have at least a couple of LFOs on hand. The effect can be reached by creating a feedback system running copies of both LFO signals into dedicated attenuators, polarizers, or VCAs and then using the scaled output to cross-modulate frequency rates of the source LFOs. As with audio oscillators, LFOs can be synced with each other. The process of synchronization is identical: one LFO is established as a leader sending a square wave into the sync input of the follower oscillator, resetting its cycle at each zero-crossing of the former. The resulting sidebands in the waveform here mold the modulation contours rather than add richness to the sound. This is a good way to tie multiple modulation signals to a single temporal source. LFOs can also be synced to other signals, such as manual gates or clocks. When syncing LFOs to clocks we can achieve modulation that is relevant to the tempo. Manual LFO reset is also helpful. One of the most common ways to utilize this feature is to reset an LFO cycle on every keypress, which results in very predictable modulation paths. 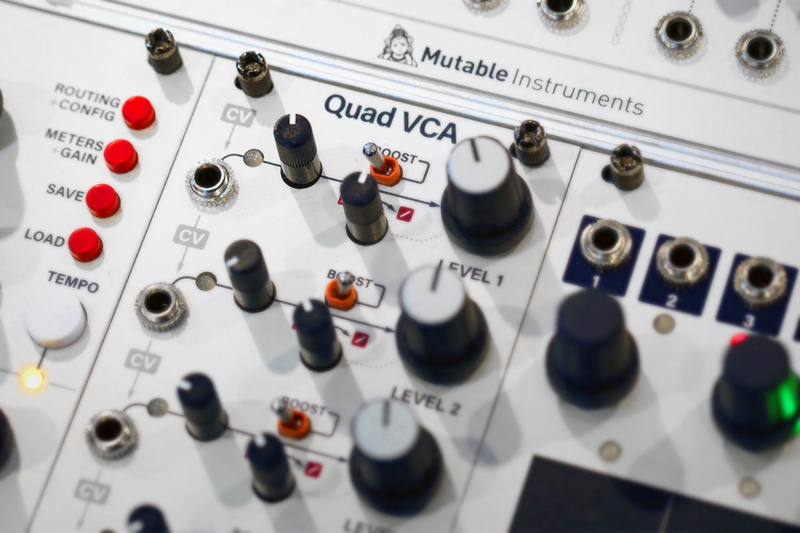 Quadrature LFOs are a special kind of module, designed to provide an interrelated, but not identical series of modulation outputs. They consist of four low frequency oscillators, all tied to the same frequency rate parameter, yet phase shifted at 90º from each other. This is useful when you want to control four different parameters while maintaining the related temporal relationships. 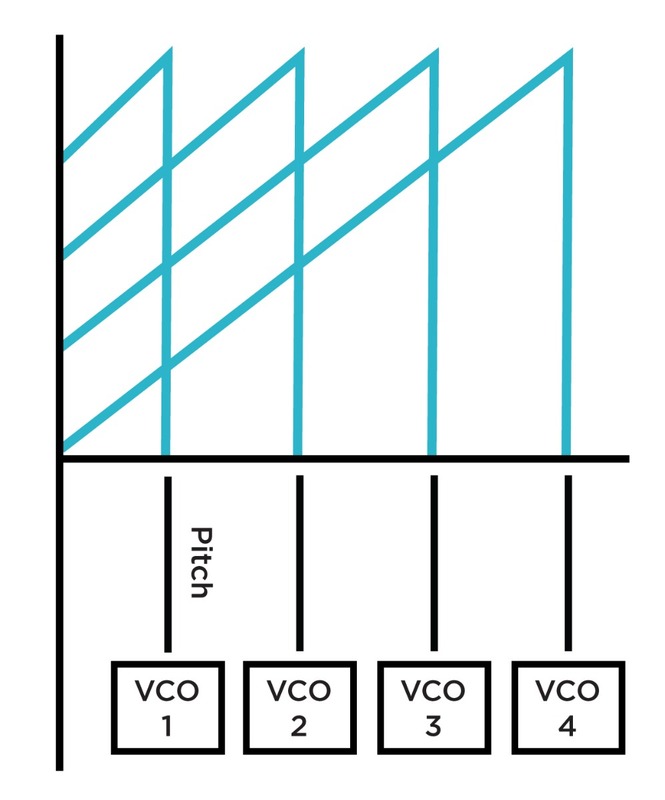 One application for this modulation technique is quad panning when a single LFO with four phase-shifted outputs can be used to spatialize the sound between a set of four speakers.  An audio illusion known as Shepard Tone can be created using quadrature LFOs. Here the sawtooth wave outputs of the LFO would be routed to the frequency input of the equivalent amount of oscillators, which as a result creates a feeling of constantly ascending pitch. This technique is heavily utilized in film scoring. Lastly, the pulse outputs of this type of LFO can make an excellent four channel gate sequencer. Another suspect capable of performing LFO-like functions is an envelope. This is accomplished by a feature in envelopes known as self-cycling, which seems quite abundant in Eurorack modules these days. Some good examples would include Make Noise Maths, Befaco Rampage, Intellijel Quadra, Mutable Instruments Stages, ALM Busy Circuits Quaid Mega Slope, and more. 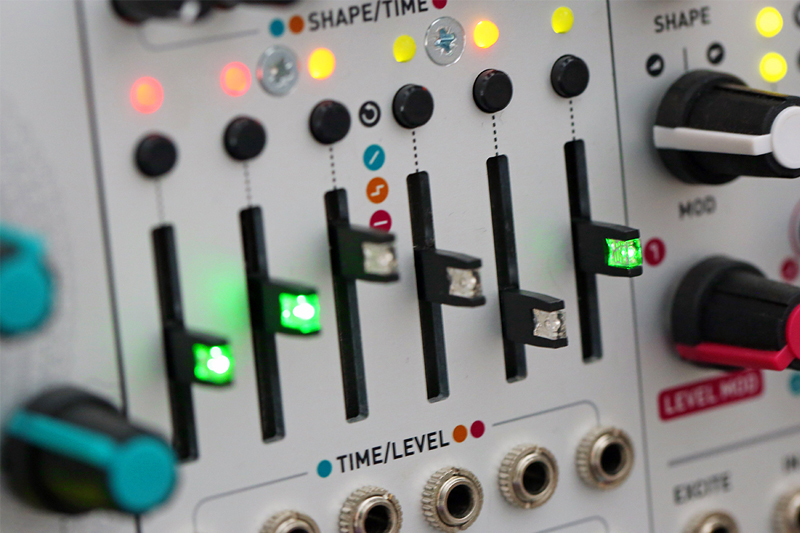 The earliest incarnations of this feature can be traced back to a few modules in the Buchla 200 series, specifically models 280, 281, 284, and 212. At the time there was no dedicated LFO in the Buchla universe, so cycling envelopes fulfilled the role swiftly conforming to the unipolar control voltage framework of the instrument. 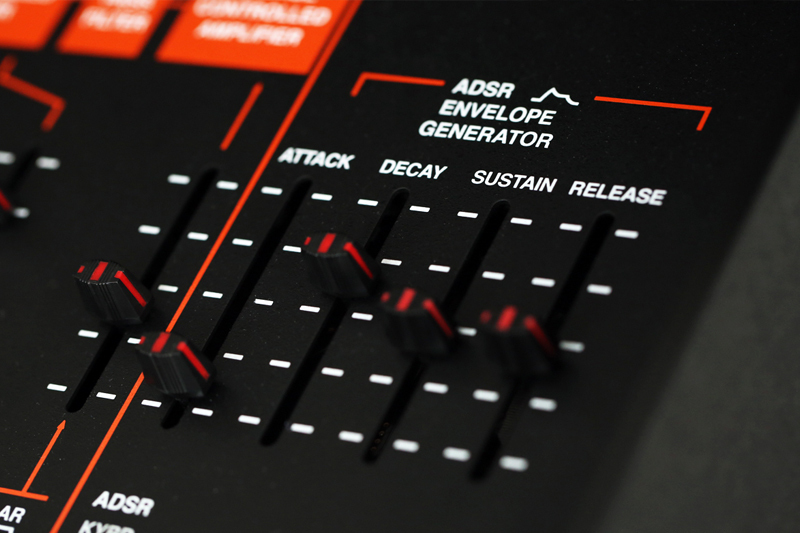 Cycling envelopes are also very common in the Serge synthesizer instruments, though since the inventor took plenty of inspiration from both Buchla and Moog, LFO-like functions could be achieved by the instrument since its earliest incarnations. Self-cycling occurs when an envelope re-triggers its cycle immediately upon completion, which effectively turns it into an oscillator. Attack and release time here act as parameters to shape the waveform. 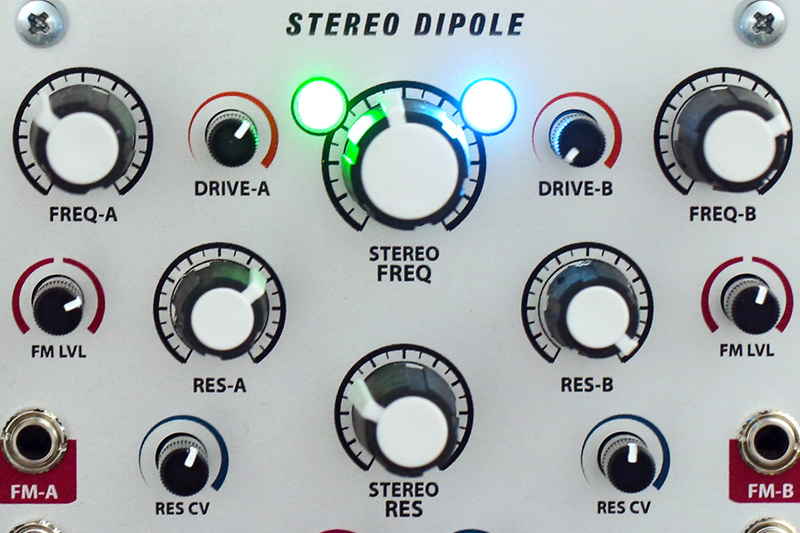 The core difference between a self-cycling envelope and an LFO is polarity, as unlike oscillators, envelopes’ default state is unipolar. Again, an offset and an amplifier will be helpful if polarity needs to be altered. Vibrato effect is achieved by routing an output of a sine or a triangular LFO into the frequency input of an audio oscillator. If routed directly, the LFO will modulate the frequency of the oscillator at full amplitude, so an attenuator or a VCA inserted in between is a perfect solution for creating more subtle effects. As mentioned earlier in this article if LFO itself is running at an audio rate, the resulting effect would transform from vibrato to frequency modulation. Trill entails exactly the same routing configuration as vibrato, only in this case a square wave is used as the modulation waveshape. A combination of a voltage offset and an attenuator (or VCA) in this case would define the low and high pitches being alternated between. Tremolo is a very similar concept, yet the wave is applied not to the frequency of an oscillator but to the level of the VCA that it runs through. Again, an attenuator or a second VCA in the middle of the chain will add additional modulation depth control. The LFO waveshape in this situation determines whether the tremolo effect is smooth (sine, triangle), abrupt (square), or somewhere in between (ramp). At audio rates this effect transitions into amplitude modulation territory, and if a bipolar VCA is utilized we get into the realm of ring modulation. PWM or pulse width modulation is another common way to utilize LFOs. For this, as you might expect, an LFO signal is sent into the pulse width input of an oscillator, effectively altering the shape of the square wave signal. The effect has a strong impact on the timbre of the sound. Wobble effect got its name and reached the peak of popularity during the golden era of dubstep, arguably being a defining element of the whole genre. 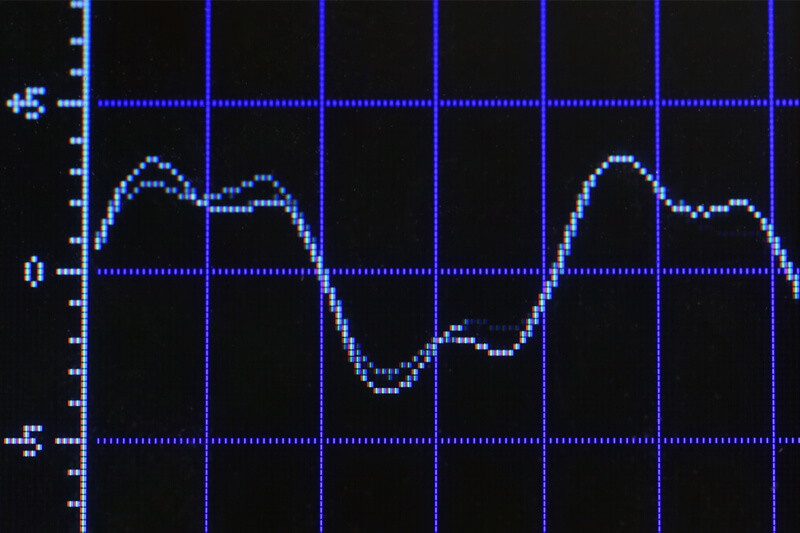 To get that one going, pass a harmonically rich oscillator wave through a filter. Set the resonance level high enough so that the center frequency is somewhat accentuated and turn the cutoff frequency somewhere to your liking. 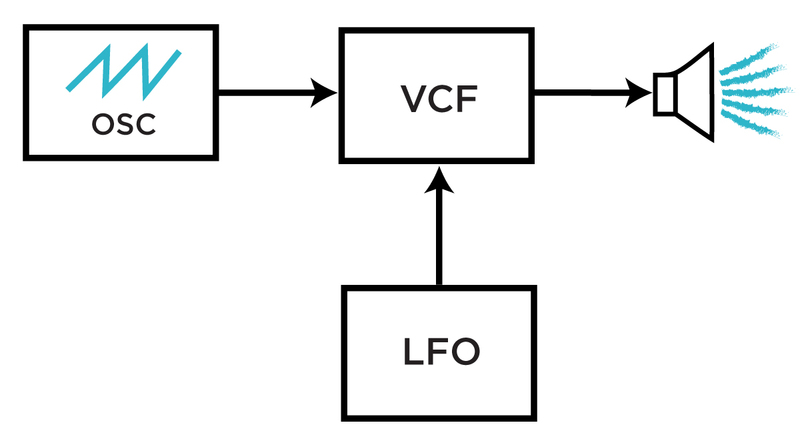 Attach an LFO to the filter frequency cutoff, connect a pitch output of your keyboard to the frequency of LFO and voila. It has to be noted here that the filter type and will also play a major role here in the final sound. Low pass is the most common choice however, some very interesting results can be achieved using bandpass. Also, who said that you have to use only one filter and one LFO?! Alternatively, a similar effect may be achieved by using LFOs to modulate wavefolder or FM depth parameters. 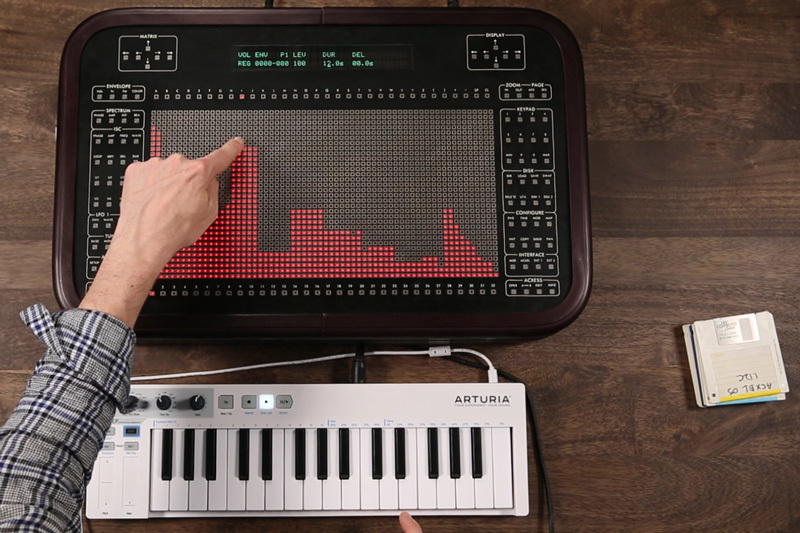 Melodic sequence generation is a fun way to employ LFOs as tools for composition. This is a widely utilized method in the open framework of modular synthesis. To do this, route an LFO of any shape and form through a quantizer. Choose or set your preferred musical scale and enjoy the outcoming melody. To make this more interesting you can employ the previously mentioned “VCA in the middle” method, modulate the frequency, and if possible the waveshape of the source LFO. As you can see, LFOs are a part of every synthesist’s life and they are indispensable tools in the construction of sonic worlds. Hopefully, it is clear that what we define as an LFO is not limited to the analog oscillator with traditional waveshapes, rather we can apply this term to any repeating signal that operates in the low-enough frequency range, making it suitable for modulation. We encourage you to experiment and explore.